There’s nothing better than the feeling right after you’ve brushed your teeth and you take a good look at your clean, sparkling smile. Unless, of course, you’ve just spit out blood. Are your gums bleeding when brushing teeth? You’re certainly not alone if the answer is yes — millions of Americans experience tender, bleeding gums. Unfortunately, too many people don’t do anything about it. This condition can have a big (and bad) effect on your overall health if left untreated. Keep reading to find out what to do about bleeding gums. Bleeding gums are one of the most common warning signs of gum disease, a chronic inflammatory condition affecting the periodontal (gum) tissue. The risk for gum disease rises above age 35, and then again dramatically past age 55. Poor oral hygiene (i.e. insufficient brushing and flossing) causes bleeding gums and gum disease. Gum disease results in spaces of infection, or periodontal pockets, between the gums and teeth. If bleeding gums and gum disease aren’t treated, the spaces grow deeper and deeper until so much gum and bone tissue has been lost that the teeth no longer have their sturdy foundation. Tooth loss is closely associated with periodontal disease that causes bleeding gums. What to Do If Your Gums Are Bleeding? If you notice that your gums are bleeding when you brush or floss, don’t hesitate to get in touch with your dentist. Dr. Mohr and our team of experts can examine your gums to determine whether or not you require periodontal therapy (more on that below). Your dentist may also talk to you about improving your oral hygiene habits to prevent bleeding gums. Aggressive tooth brushing, for example, can injure the gums and cause them to bleed. Make sure you are cleaning in gentle, circular motions using a soft-bristled brush. It’s also possible that your bleeding gums are caused by a certain medication. 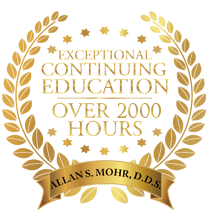 You and Dr. Mohr will discuss your full health history, including any medicine you’re taking, to determine the appropriate method for treating bleeding gums. 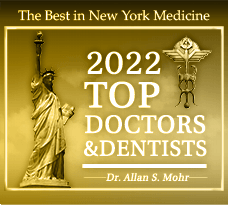 If gum disease is to blame for your bleeding gums, Dr. Mohr will prescribe periodontal therapy based on the severity of the infection. We offer a number of options for gum disease treatment. 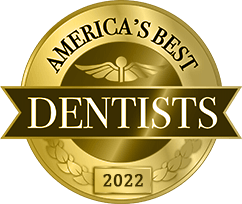 Nonsurgical scaling and root planing (SRP) is a treatment in which we clean above and below the gum line using special tools, smoothing out the tooth’s root to prevent reinfection. After SRP is complete, we practice continued periodontal maintenance to ensure that the condition does not return. Our diode laser allows us to provide treatment that’s more comfortable and efficient, precisely zapping away the infection-causing bacteria and leaving you with healthier, cleaner gums. 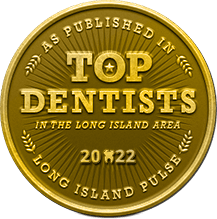 If you’re dealing with bleeding gums, your Massapequa dentist wants to help you achieve lasting periodontal health with treatment for gum disease. Request an appointment at ASM Smile Creations today! by: allanmohr at August 8, 2017 .